After the young Prince Edward VI of England and a peasant boy switch places, the "little king" tries to escape from a world in which he must beg for food, sleep with rodents, face ridicule, and avoid assassination. Meanwhile, the peasant, who is now the prince, dreads exposure and possible execution; members of the Court believe he has gone mad. As a result of the swap, both boys learn that social class, like so much of life, is determined by chance and random circumstance. 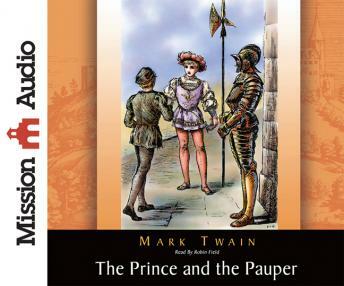 Originally published in 1881, The Prince and the Pauper is one of Mark Twain's earliest social satires. With his caustic wit and biting irony, Twain satirizes the power of the monarchy, unjust laws and barbaric punishments, superstitions, and religious intolerance. Although usually viewed as a child's story, The Prince and the Pauper offers adults critical insight into a people and time period not really all that different from our own.